Once I came up with the idea behind today’s comic, I couldn’t stop making ’em! 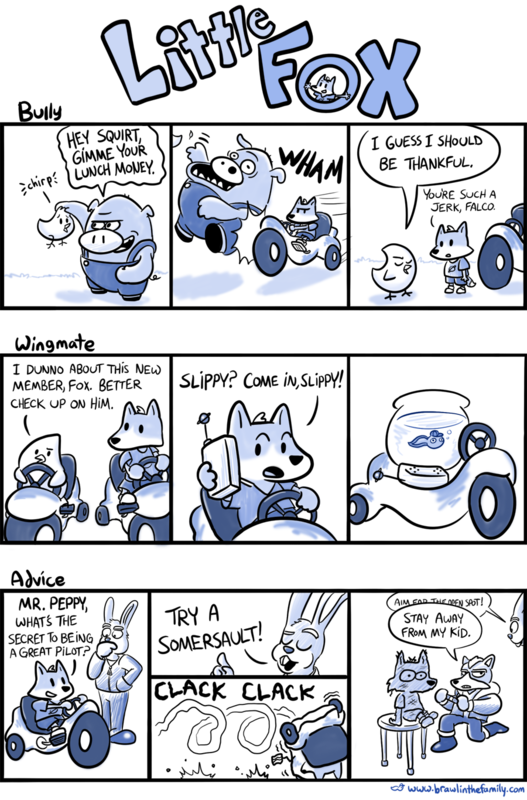 Hope you like this three-in-one bundle of StarFox silliness. It’s Nefarious, a new game in the works on Kickstarter! 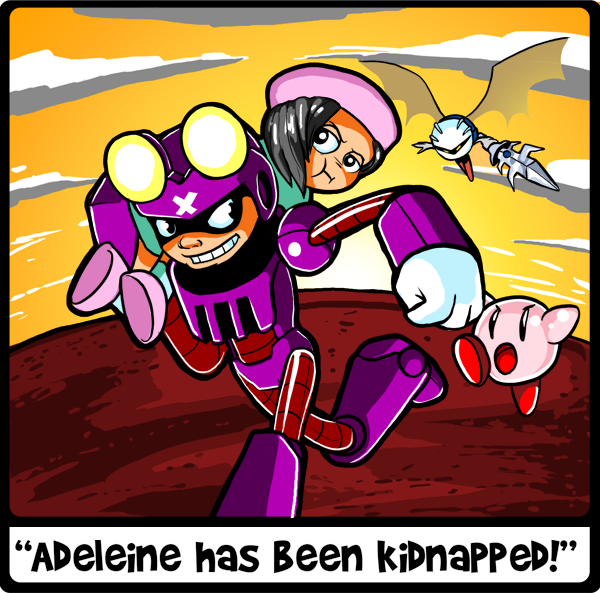 This game is being developed by a buddy of mine, Josh Hano (who also happens to be contributing art and animations to Tadpole Treble), and it’s all about playing the role of a princess-kidnapping villain. Ever thought about how difficult it might be for a boss to snag royalty and then escape with her, avoiding waves of soldiers and security along the way? Nefarious proves it’s a tough job to be so bad, especially when your captives aren’t planning on going quietly! So what’s this got to do with me? Well, many of you are aware of some of the projects I’ve made public (like Tadpole Treble), but that doesn’t mean I haven’t been doing a few things in secret as well…! In addition to working on those projects, I’m also part of the Nefarious team…as one of its two music composers! Like Tadpole Treble, the music of this game is a blend of electronic and live instruments (that’s Dad on the trumpet, Mom on the clarinet, and me on the sax). And there might even be a version of Ode to Minions somewhere in the game…! Anyway, Josh is a very talented illustrator and animator, and Nefarious is shaping up to be quite clever, creative, and a lot of fun. But to make it a reality, it’s gotta hit its goal, so I highly recommend you guys check it out right here! And yup, it’s planned for Wii U, as well as PC, Mac, and Linux. One other thing, as a special bonus, Josh has made a four-panel, full-color comic that will show up in the next few blog posts. Looks like Crow’s dastardly thievery knows no bounds. Here’s the first part!